Our year 7 algebra worksheets are designed to help students master all types of algebra problems. From solving equations, to BODMAS to substitution our year 7 algebra worksheets are fun and easy to follow. 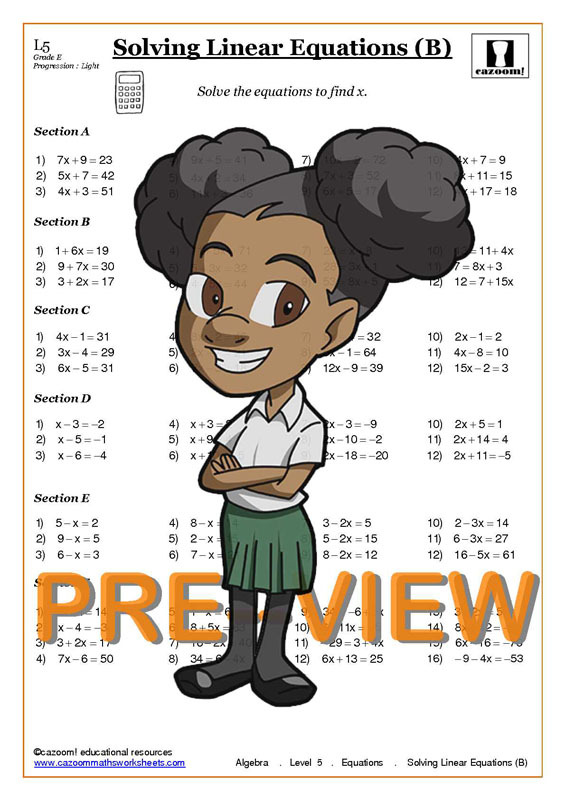 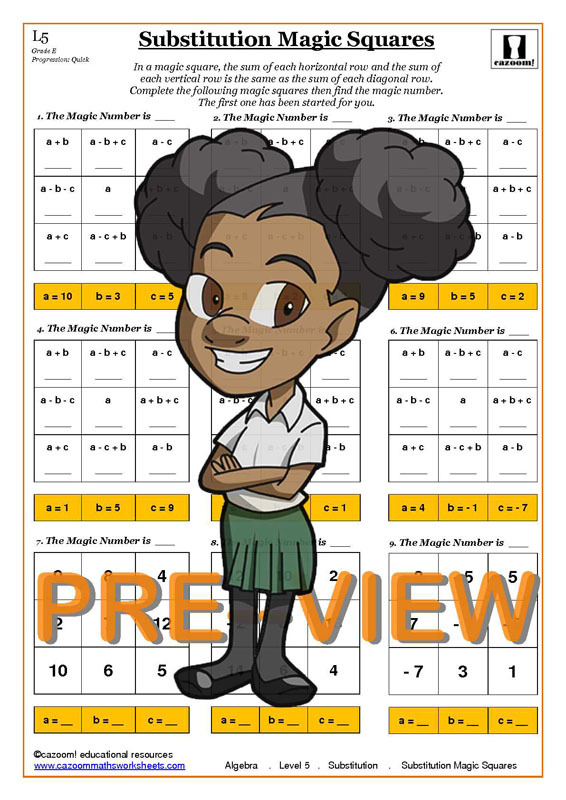 We have algebra worksheets to suit all abilities and levels and all worksheets are supplied with answers to measure how well your pupil or child is doing. 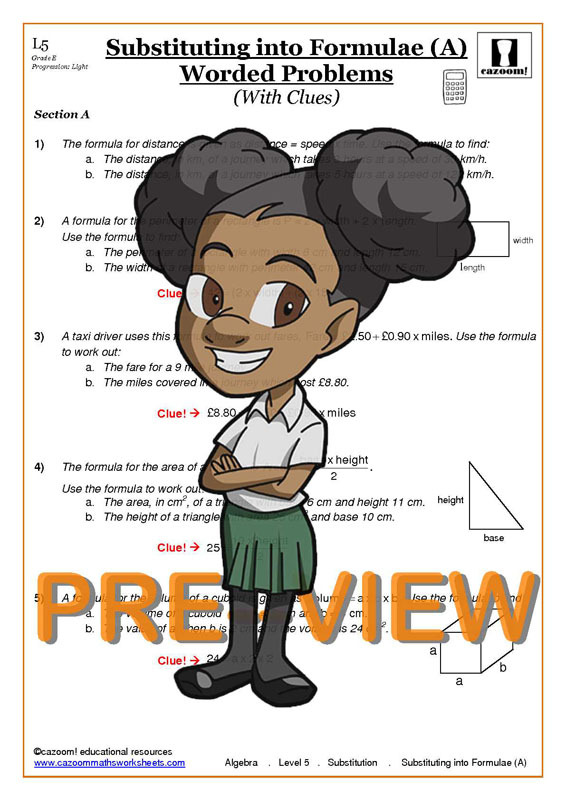 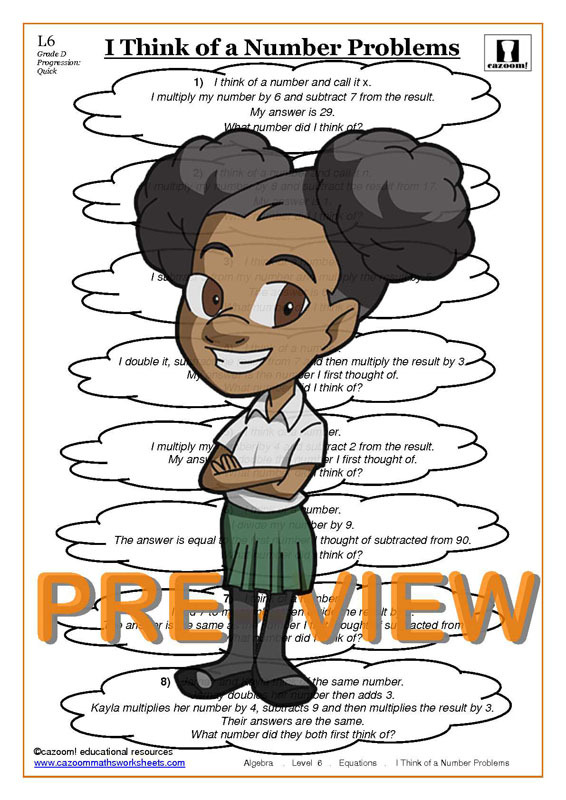 We have a wide range of KS3 and KS4 maths resources to improve students' confidence in answering all types of algebra questions. 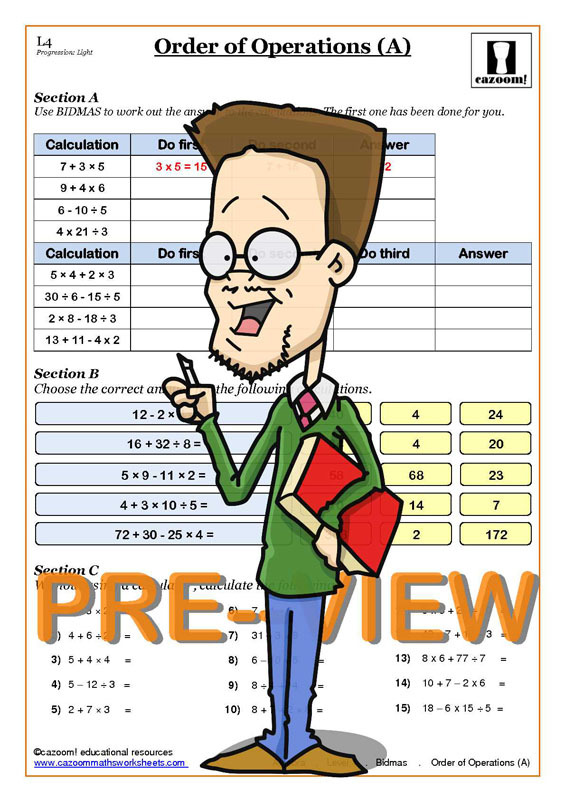 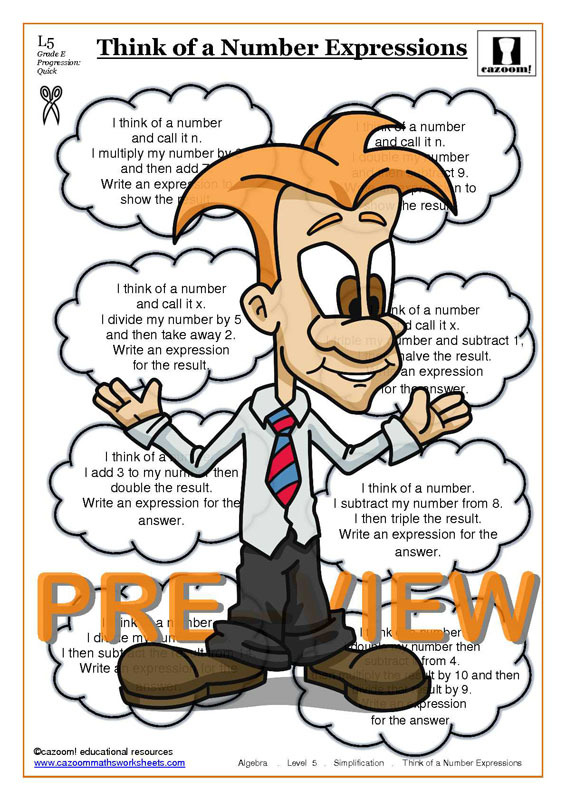 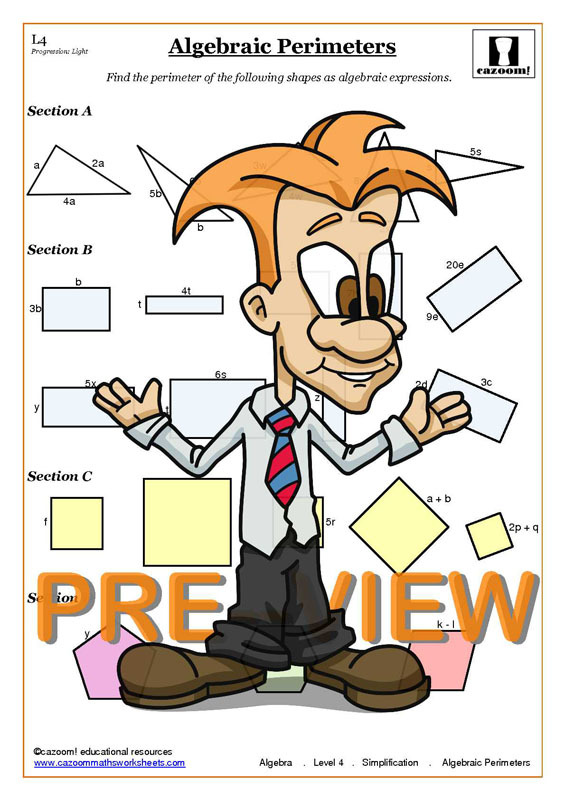 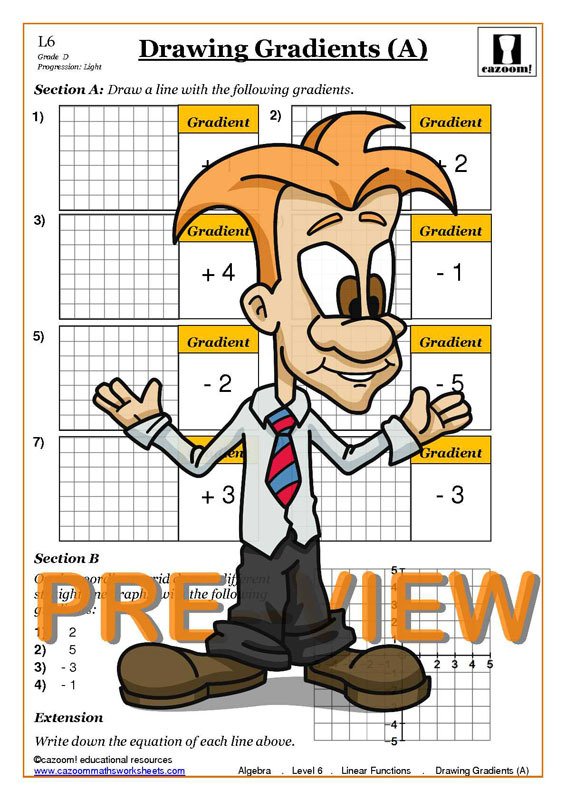 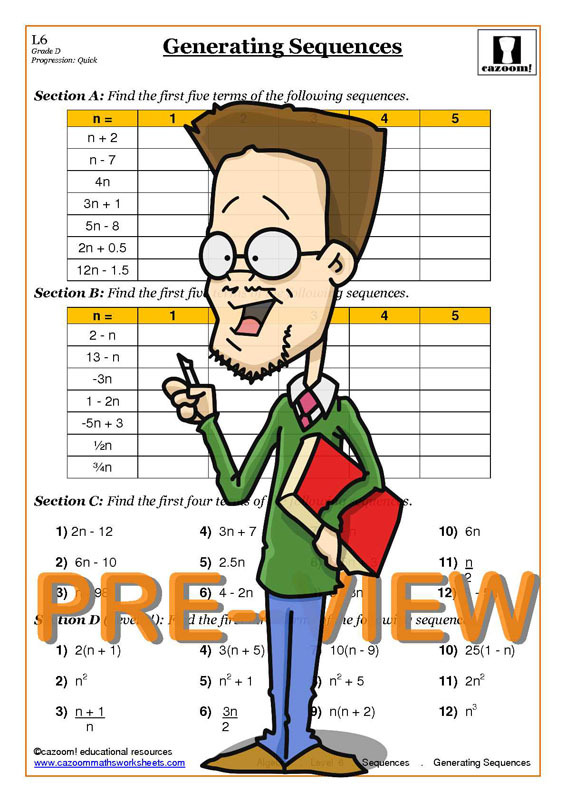 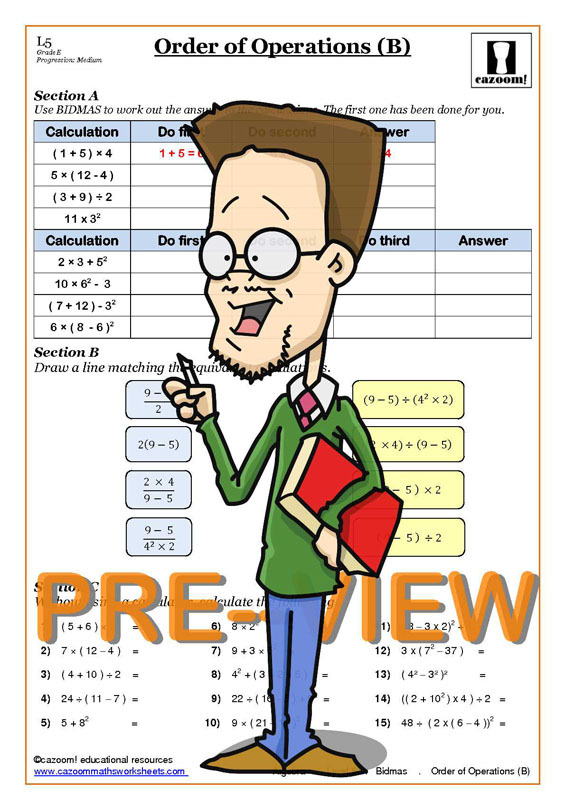 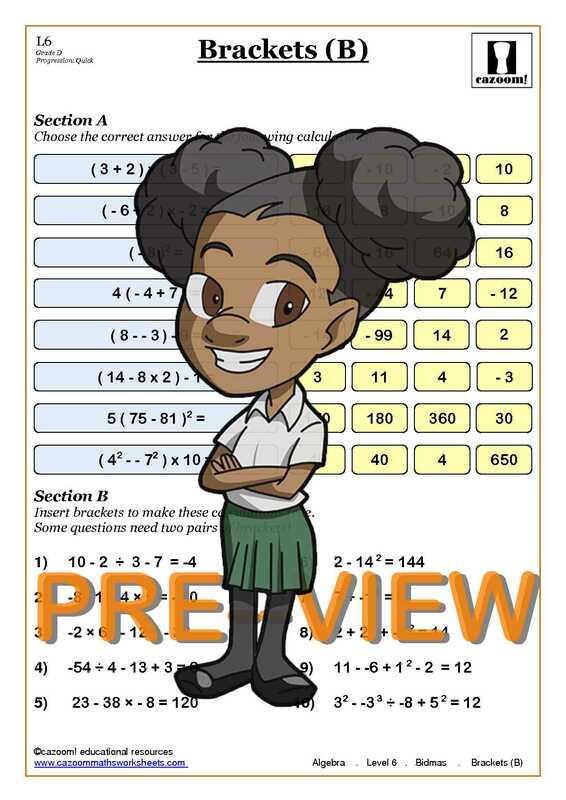 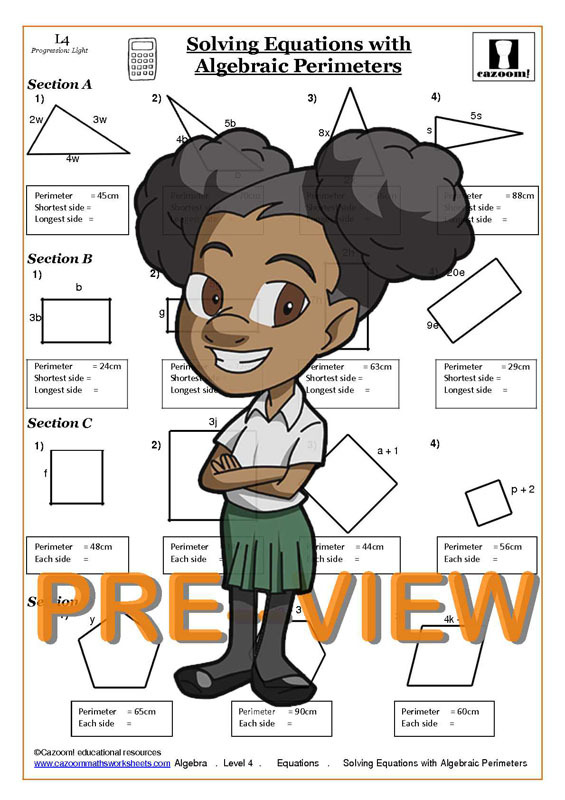 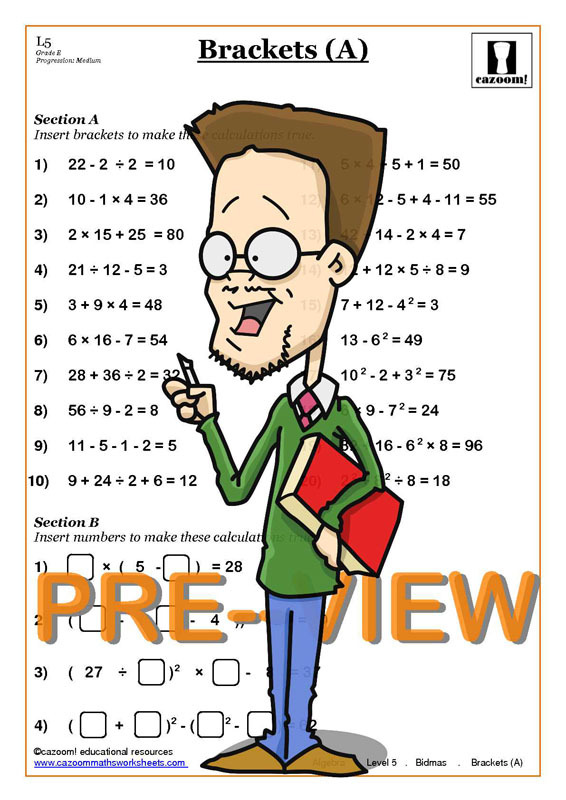 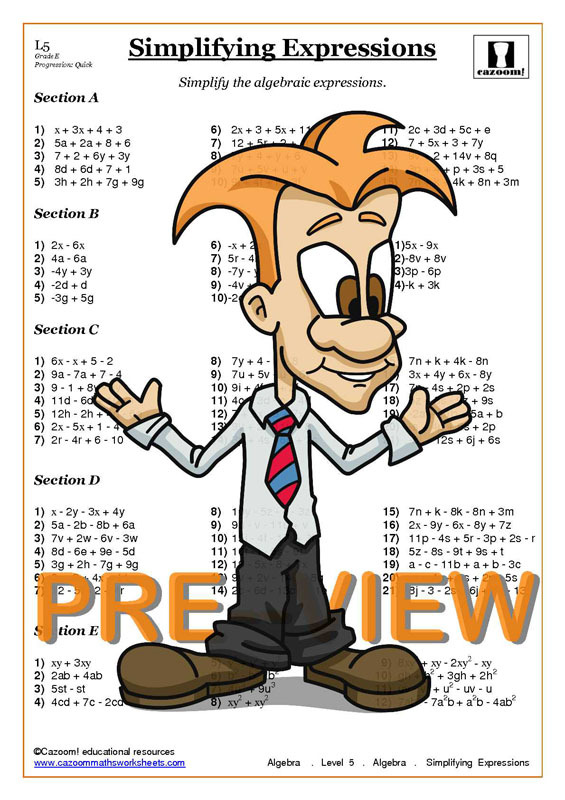 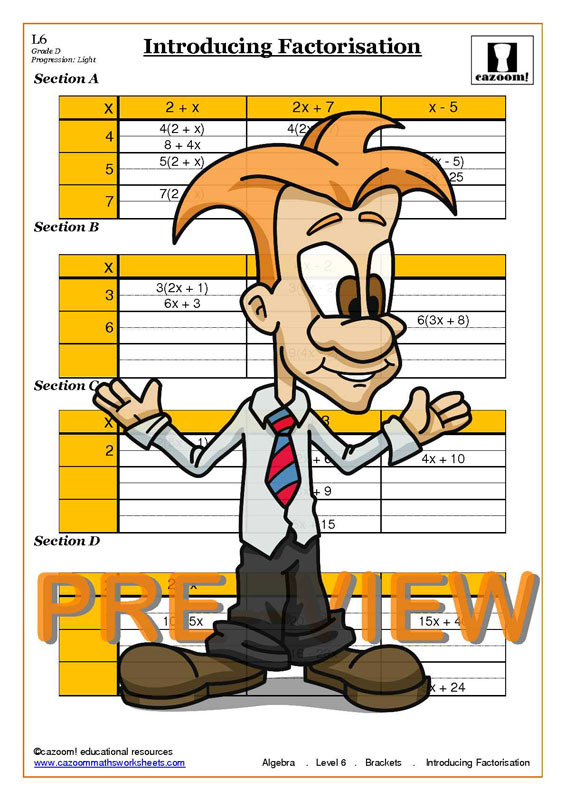 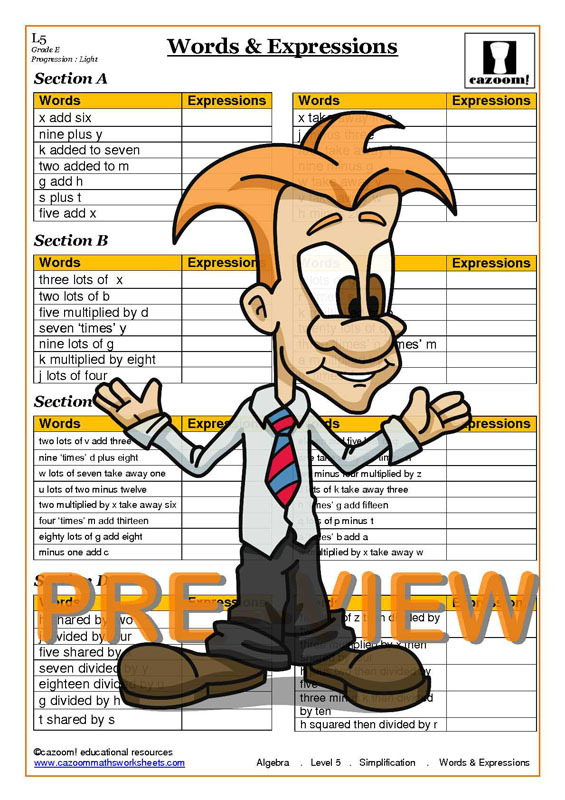 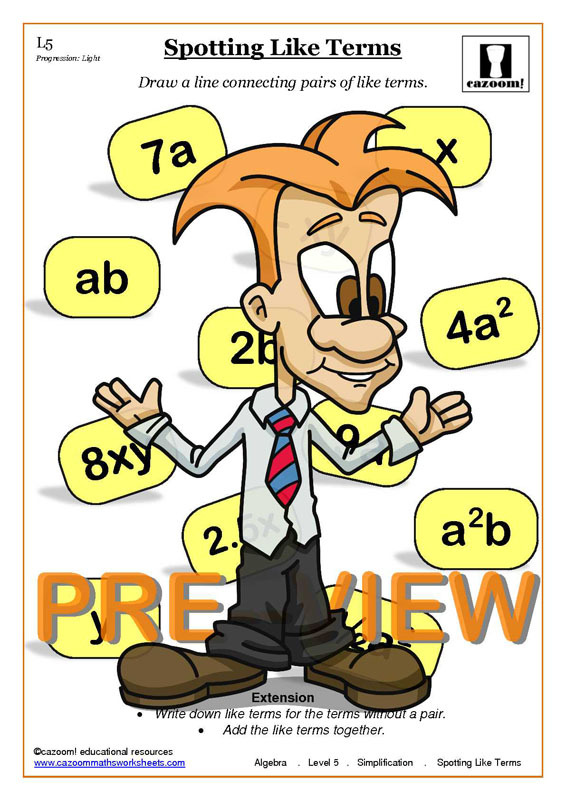 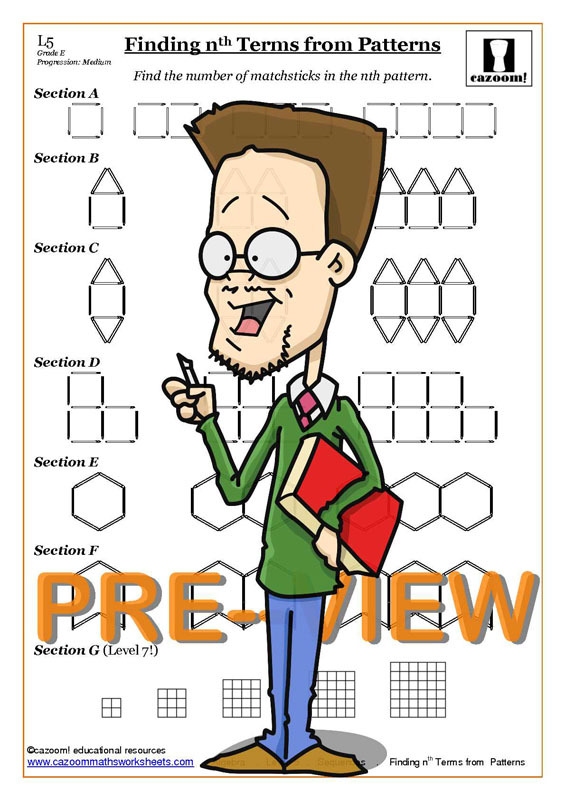 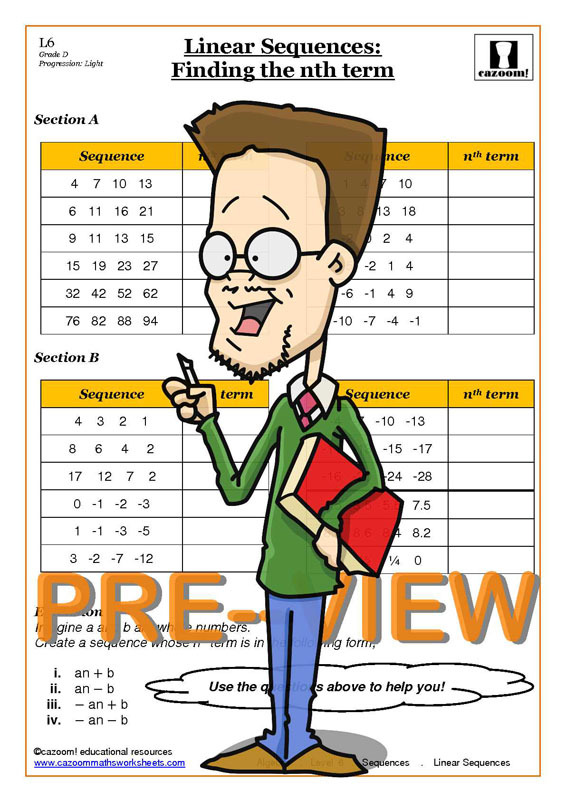 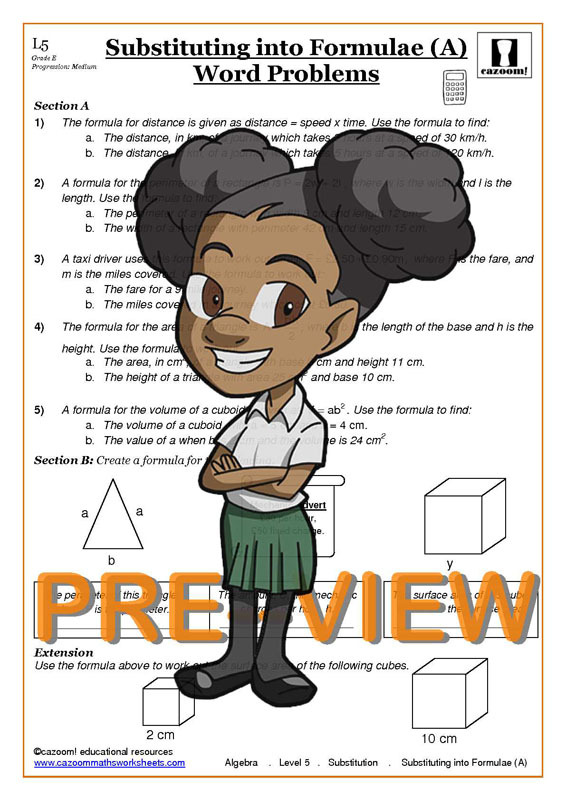 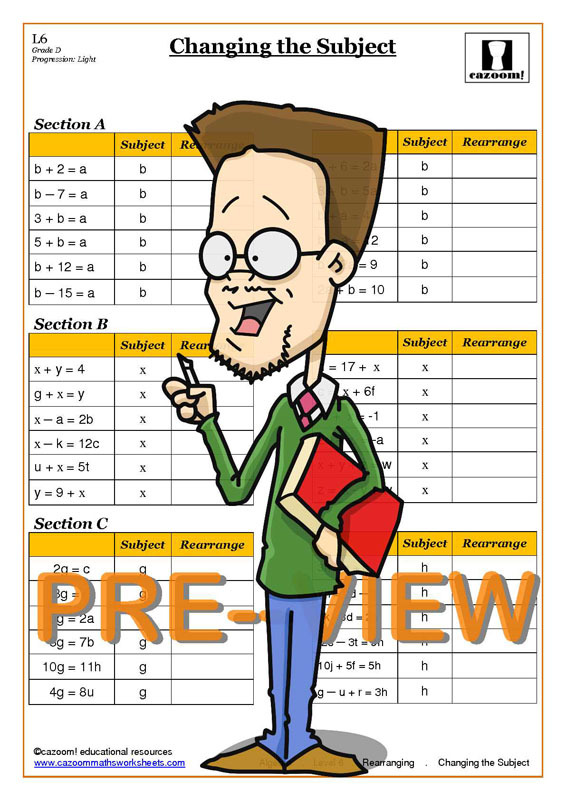 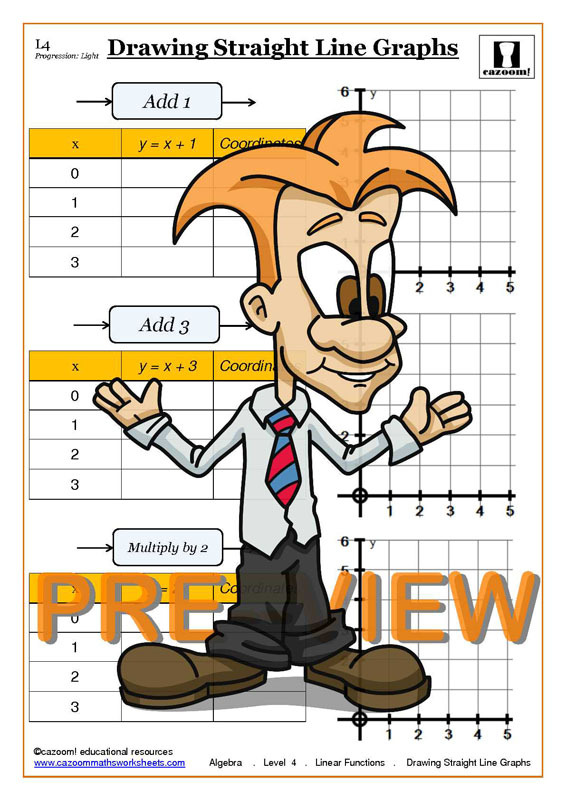 Algebra is a key topic for all maths students so make it fun by using Cazoom Maths worksheets!